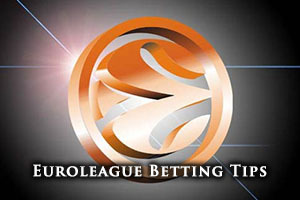 Spread Pick: Galataseray with handicap +3 at 1.90 Over/Under: Over 152.5 1.90 Bet Now! We’ve reached Round 10 in the 2014/15 Euroleague, and this match is exactly what you are looking for from a final day showdown. Galatasaray are at home and they are looking to reach the Top 16 for the third time in four seasons, but it is not quite in their hands. The Turkish side needs to take care of Olympiacos at home, but they also need to hope that Valencia Basket can take care of Neptunas Klaipeda. If Galatasaray lose or Neptunas win, the Turkish side do not make it to the Top 16. The two teams have already met in the Euroleague, on match day 5, and Olympiacos were comfortable home winners, by a score of 93-66, with 159 points being scored in that game. It was no surprise to learn that Vassilis Spanoulis and Vangelos Mantzaris were in excellent form that day. However, this match has no bearing for the Greek side and it may well be that Olympiacos decide to give their fringe and youth players some game time. When you think that Matt Lojeski is desperate for some Euroleague action after missing 6 weeks of action, he will surely play a part in the game, which you can watch live. The hopes of Galatasaray are likely to fall on Carlos Arroyo and Zoran Erceg and the team has a 3-6 record coming into this game. They have managed to rack up an average of 80.4 points in the Euroleague this campaign with Erceg leading the way, with an average of 18.1 points per game, while also adding an average of 4.9 rebounds per game. Erceg has been assisted by Kerem Gonlum, who has offered up an average of 7.6 points per game, while also providing an average of 6 rebounds per game. The Turkish side are also toiling in their domestic league, sitting in 6th place while holding a 6-4 record. 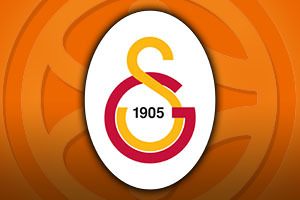 Their most recent game domestically saw them lose to Trabzonspor by a score of 72-70. Will Olympiacos be up for a battle? Olympiacos come into the game with an 8-1 record and they have averaged 74.9 points per game in the Euroleague. This is actually a lower points per game average than Galatasaray but of course, the success of your defence and winning individual games is the key thing as opposed to records. Vassilis Spanoulis has been central to this run of form, grabbing an average of 18.2 points per game and an average of 5.2 assists per game. Bryan Dunston has also been a key player for the Turkish side, grabbing an average of 9.3 points per game and an average of 5 rebounds per game. Olympiacos have continued their Euroleague form into their domestic duties, holding a 10-1 record and sitting in first place. In their last game, they ran out 56-73 winners against Panionios. Due to the nature of this game, and what is at stake for the home team, taking Galatasaray Liv Hospital with a handicap of +3, at odds of 1.90 is likely to be the most sensible bet. They are clearly not the better of the two teams, but they have to want to win this game more and it could be a very different Olympiacos side that takes to the court. You should also be looking to bet Over 152.5 points being scored, and both of these bets are available from Bet365. Bet Now!